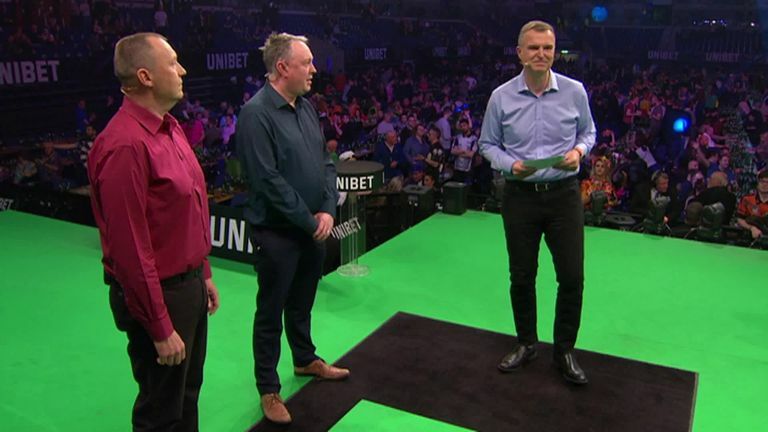 The Premier League drama continued in Liverpool as Rob Cross retained top spot in the table, while Michael van Gerwen produced his best performance of the season to hammer Michael Smith. Van Gerwen stole the show as he defeated Smith in a repeat of their World Championship final and last year's Premier League showpiece, while Cross posted yet another ton-topping average to secure his seventh win in eight matches. 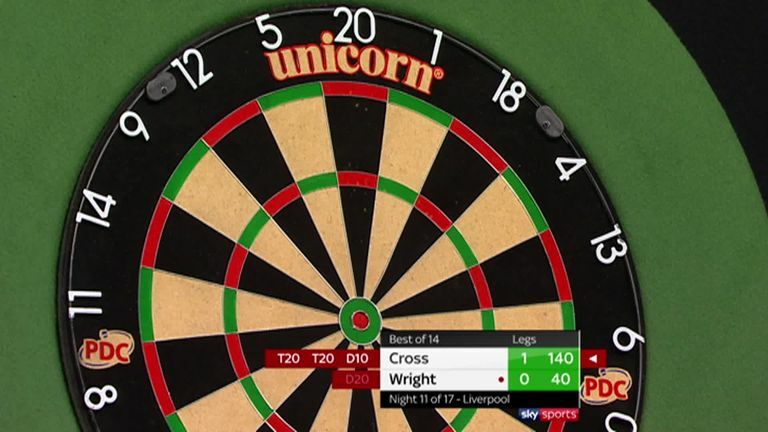 Cross took out a magnificent 140 finish - the same checkout he hit to win his world title - to move 2-0 ahead against Wright in the evening's opener. That checkout was preceded by an amazing 162 set-up shot, which saw 'Voltage' land an incredible sequence of five consecutive treble 18s. 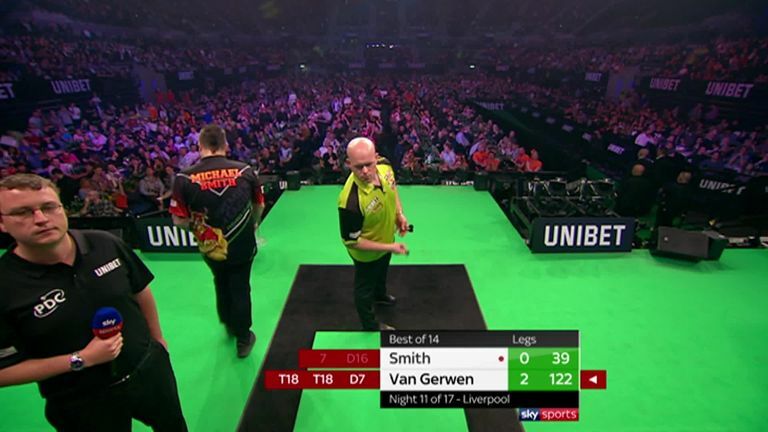 Van Gerwen produced a blistering display to continue his impressive record against Smith, averaging 109.11 and converting 62% of his attempts at double. One of the highlights came in leg three, as MVG conjured up a brutal bullseye finish to break Bully Boy's heart. 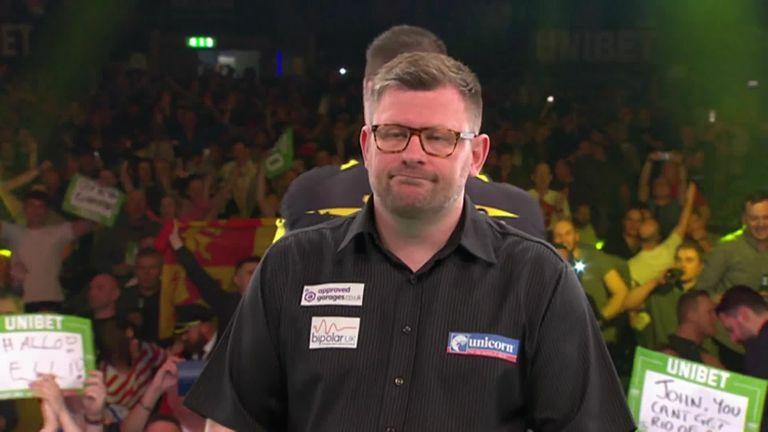 Daryl Gurney's 'Sweet Caroline' walk-on is always extremely popular with the crowd, although not with James Wade it seems. Dion Dublin swapped Homes Under the Hammer for the arrows in Liverpool and he was joined by his former Aston Villa team-mate Darius Vassell and ex-Premier League referee Chris Foy. Cross remains top of the league, one point ahead of Van Gerwen, with the pair set to clash in Cardiff next week. However, there are now four players locked on 12 points, with Wade, Price, Suljovic and Gurney all firmly in the hunt for a play-off place. Wright and Smith now face huge tasks to seal a top four spot, with both men almost certainly needing to secure maximum points from their remaining five games to have a chance of reaching the O2.